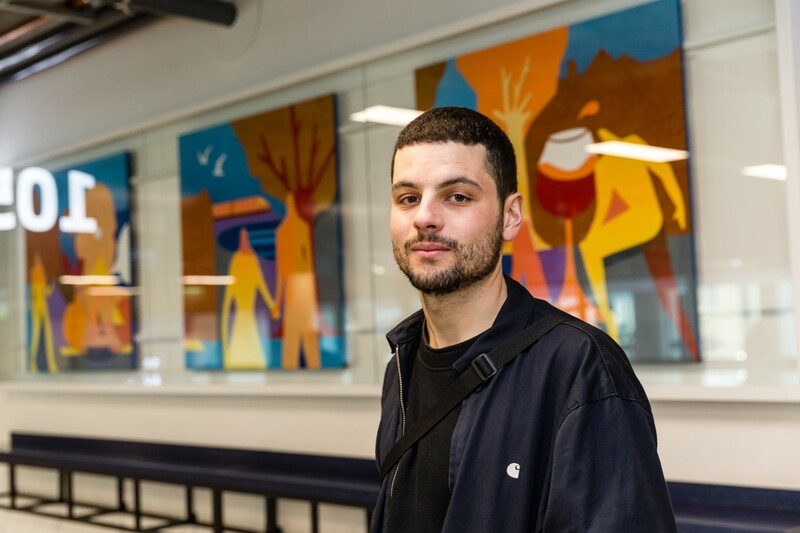 Albert ‘Agwa’ Clegg, Ashton Attzs, Marina Nimmo and Natsko Seki were commissioned by the club to each create a piece of art inspired by the area of Tottenham. 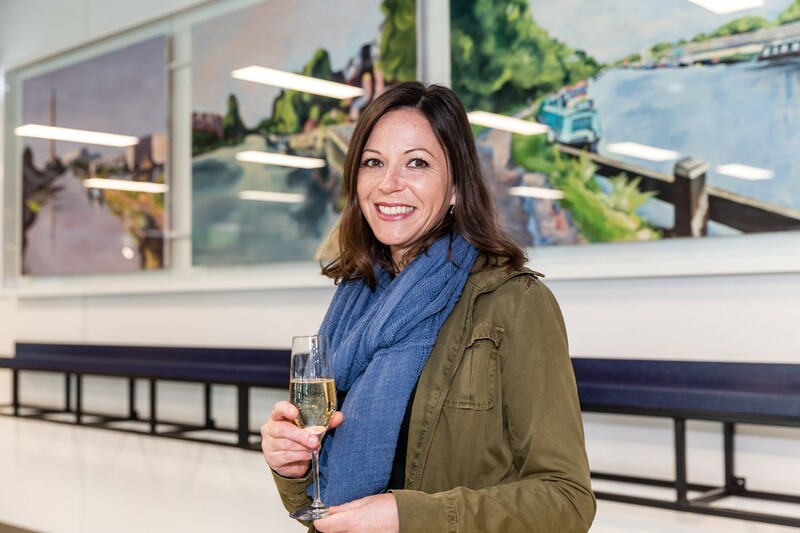 Their work, which is based on a brief set by the club entitled ‘Passionate About Tottenham’, was unveiled by the artists themselves ahead of the Test Event match on Sunday 24 March and is now on display on the Level 1 concourse in the West Stand of the new stadium. As well as providing added vibrancy and a unique installation to this concourse space, the gallery draws attention to the artistic talent that exists within Tottenham to thousands of visitors to the stadium each year. Daniel Levy, Chairman, said: “This art gallery at the stadium is a totally unique concept – yet another first for our stadium – and is a great way of providing local artistic talent a deserved platform on which to showcase their work. From the natural beauty of the green spaces of the Lee Valley, to the area’s multi-cultural population, vibrant shops, restaurants and market stalls on the High Road, each piece of art is inspired by different aspects of Tottenham. The display will be regularly updated, giving as many local artists as possible the opportunity to have their work exhibited. Working out of his studio in Tottenham, Agwa creates work opposed to the alienating and inaccessible constructs of modern art. Working with spray paint, acrylic and digital media, Agwa’s practice revolves around creating aesthetic artwork that reflects the people and narratives of his environment. ‘Work, Love, Play’ references the landmarks and activities that have forged Agwa’s relationship with Tottenham. ‘Work’ depicts the interconnectivity and growth the community has catalysed. ‘Love’ shows Agwa’s home and Tottenham’s green spaces. ‘Play’ revolves around sport, social painting and drinking at the Beehive pub on Stoneleigh Road. Ashton Attzs is a 20-year-old, award-winning artist and poet from North London, who celebrates the uncelebrated. His series of quotidian paintings are a colourful lease of life; charmingly empowering the everyday person, particularly those of BAME and LGBT+ identities. White h(e)art, Brown h(e)art, Black h(e)art Lane is an ode to all individuals from every community within Tottenham. The vibrant triptych is a snapshot of eclectic N17 life: from the busy bus stops of the High Road to the shoppers of Hale Village - it’s a celebration of all who make Tottenham what it is. 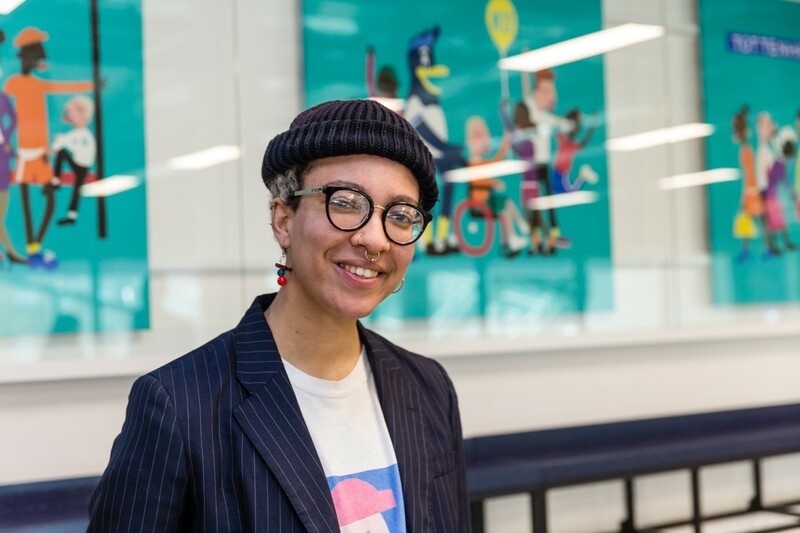 Graduating with an MA in Fine Art from the Chelsea College of Art, Marina divides her time as an artist working with diverse media alongside her love of teaching Art at the London Academy of Excellence Tottenham – the Sixth Form College based on the new stadium campus. Tottenham Marshes depicts the canal systems that flow throughout Tottenham, bringing a welcomed softness of pace that allows you to walk for miles, appreciating the tranquillity of the waterways and surrounding trees. Marina was particularly inspired by the colours and light that provide an escape from the busyness of urban life. Natsko is a Japanese illustrator born in 1976. She graduated with a B.A. Illustration (Hons) from the University of Brighton and has lived and worked in Tottenham for seven years. Her clients include Louis Vuitton, Transport for London and more. In this piece, Natsko celebrates the lively scene of everyday life in Tottenham. 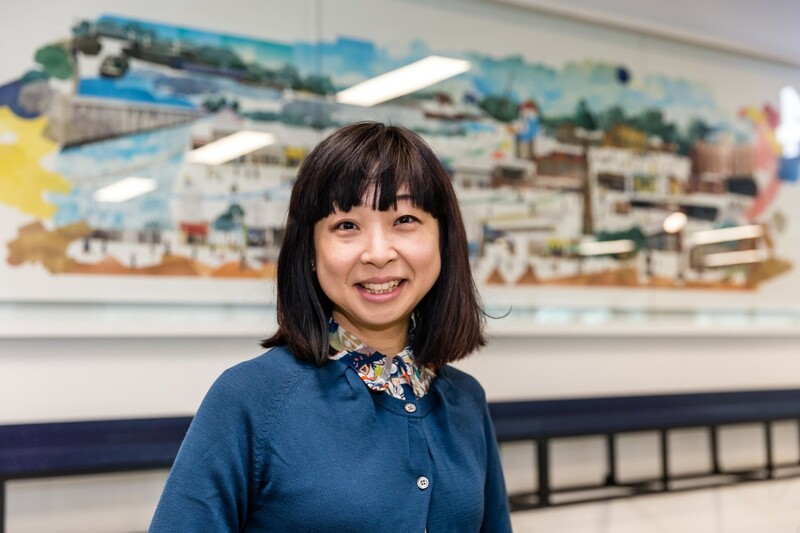 Digitally combining her own photographs with her drawings, she focused on the River Lee, kids in the park, Tottenham High Road and the new stadium, as well as other local landmarks.